"Figure 01.01. Map of Singapore showing Changi POW Camp." Figure 01.01. 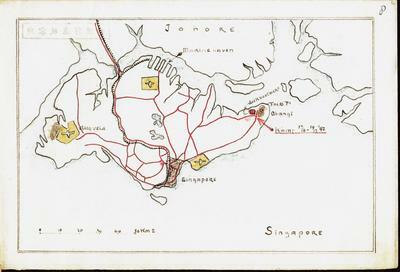 Map of Singapore showing Changi POW Camp. H. J. D. De Fremery. Image copyright Museon, the Hague, Netherlands. No use or reproduction of this image permitted without explicit consent of the copyright holder.